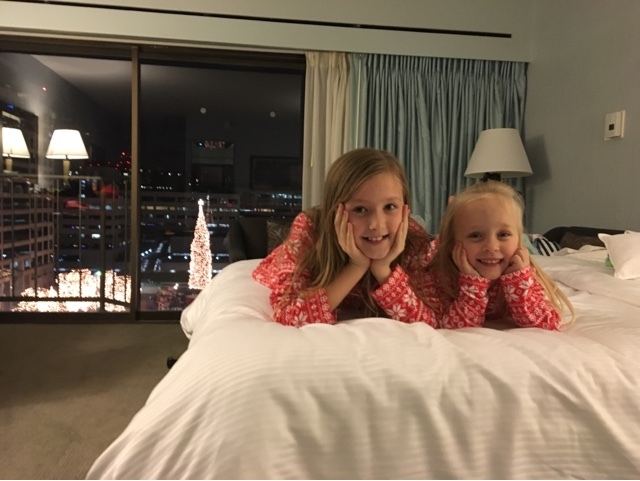 On the Friday before Christmas, we surprised our girls with a staycation in Kansas City. We started the day off with an art session at Kaleidoscope. 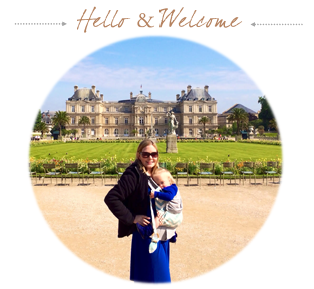 KC is home to the Hallmark headquarters & Kaleidoscope is a free attraction. 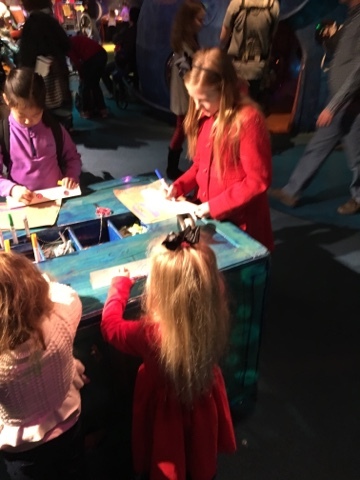 Hallmark provides all materials for the kids to use their imagination and design skills. Painting and puzzle making is always a favorite. After Kaleidoscope, we checked into the Westin Crown Center. The front desk manager was extremely friendly. She made my kids feel very welcomed & gave them each candy. 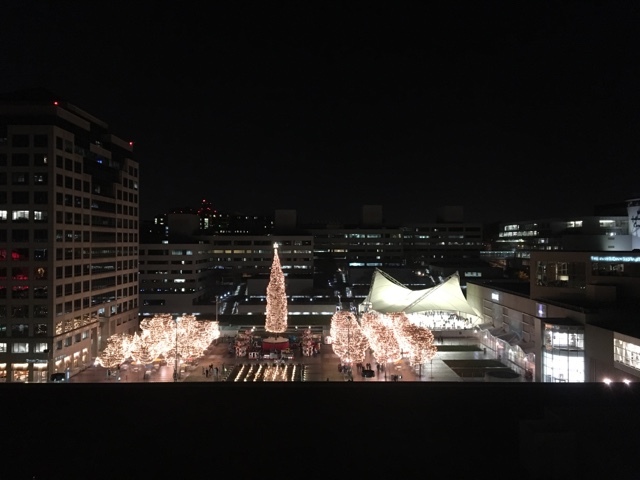 Our room had a great view of the Mayor's Christmas Tree and the Ice Terrace. 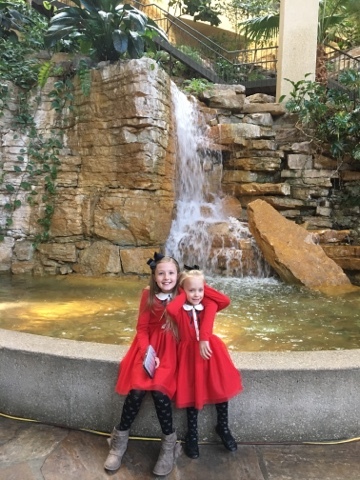 The girls were glued to the floor to ceiling windows, watching everyone ice skate and counting the falls of the skaters. 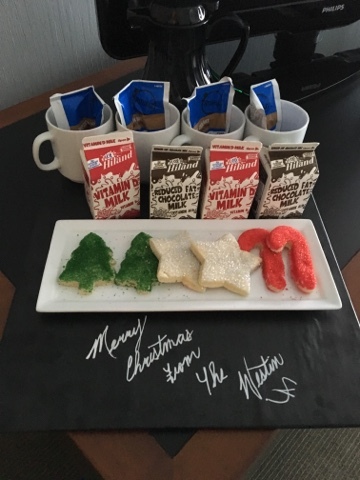 In the room we were greeted with Christmas cookies & milk and hot cocoa. The rooms have a refrigerator, so storing the milk was easy. 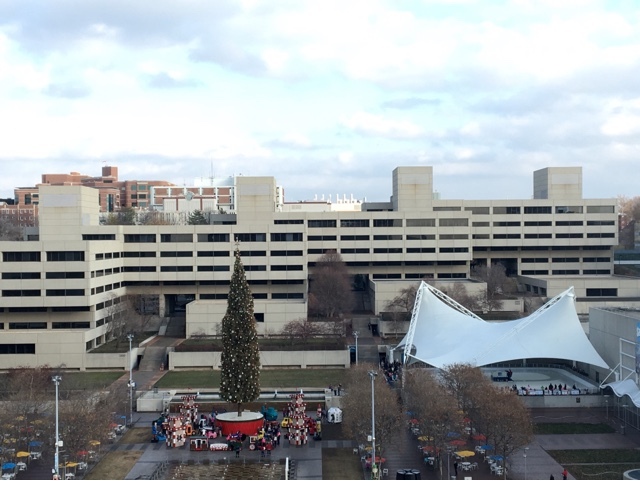 The hotel itself is connected to all of the Crown Center area by the Link, an over the road enclosed walkway, so we didn't have to wear coats anywhere we went! We gave the kids a tour of the Westin. It has a beautiful waterfall inside the lobby. 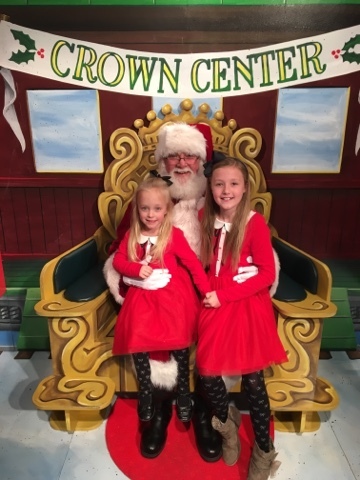 I planted myself in a 2 hour line to see Santa at Crown Center. While I was waiting in line, their dad took them to eat at Fritz. Fritz is a must in KC. 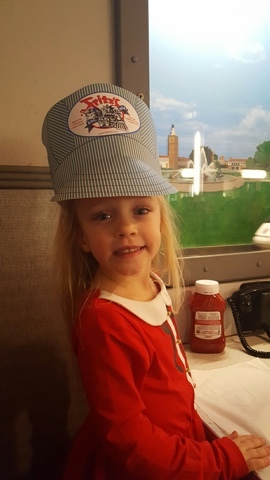 You order your food from the conductor over the phone and food is delivered to your table by a small train! 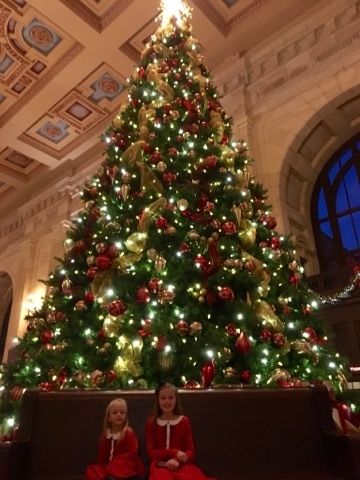 After Santa, we took the Link to Union Station to see the Christmas decor. Then we headed back to the room to watch our complimentary Kids Club movie. The girls picked Trolls. During the movie I made a run to Spin for my dinner. The kids then got ready for bed, and in their matching jammies. Right before we dozed off, Dad asked the oldest if she wanted to go for a walk. He then surprised her with a 10:15pm showing of Rogue One at Union Station. It is the largest screen in Kansas City and they got to see it in 3D. When the movie was over, Union Station was closed and security escorted everyone to the exit. They thought being the only people in all of Union Station was pretty cool! 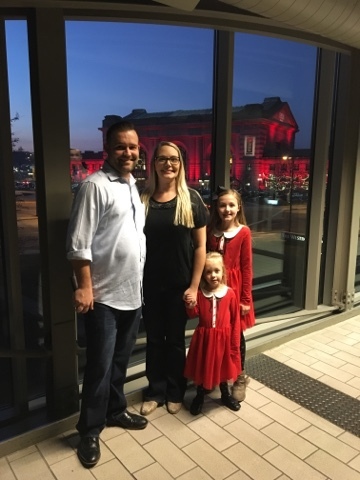 They walked back to the Westin via the Link and were able to see amazing views of downtown KC with no traffic.